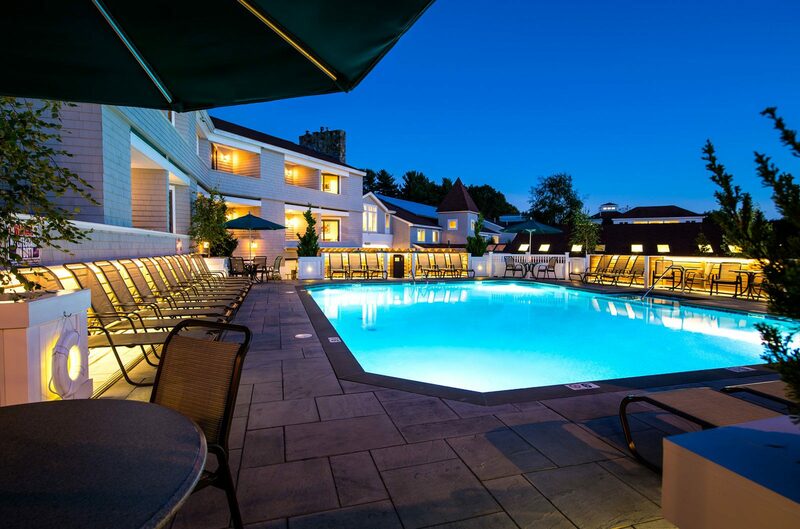 Our hotel in Ogunquit features resort amentities that are great for any time of year. Sometimes work calls. Our Business Center area can help you quickly resolve a concern – and returning to relaxation. It’s a connected world. And while the out of office may be on, sometimes you just need to respond. Relax – our business center offers computer terminal, printing and internet in a central location. A quick stop on the way to the pool and that pressing email is all set. And the vacation is back on track. Our gathering areas at our hotel cater to you spending time with your family on your Maine vacation. Cozy and comfortable spots to connect and be together are found throughout the hotel, year round. So whether it is enjoying a gorgeous summer day poolside or settling in with a warm cup of gourmet coffee to our library area while the snow falls, you and your family with gather together for wonderful Maine memories. Beach towels, bathing suits. That ice cream accident. When you travel, you’ve only packed so much. Sometimes a quick load of laundry saves the day – or at least that outfit. Sure it would be great to leave everything, even laundry, behind. For those times when you just can’t, our guest laundry is ready to help. Sometimes a quick load of laundry means a vacation is saved – or at least that favorite shirt. Our fitness center and health club provides guests and members with access to state of the art equipment in an upscale setting. Set in pressed stone walkways, the heated indoor pool captures the joy of water fun at our Ogunquit hotel . . . Located in our Health Club, tanning is available onsite. Keep or prep for that summer glow . . . Lights, Camera, Action! Sit back in stadium seating and relax. 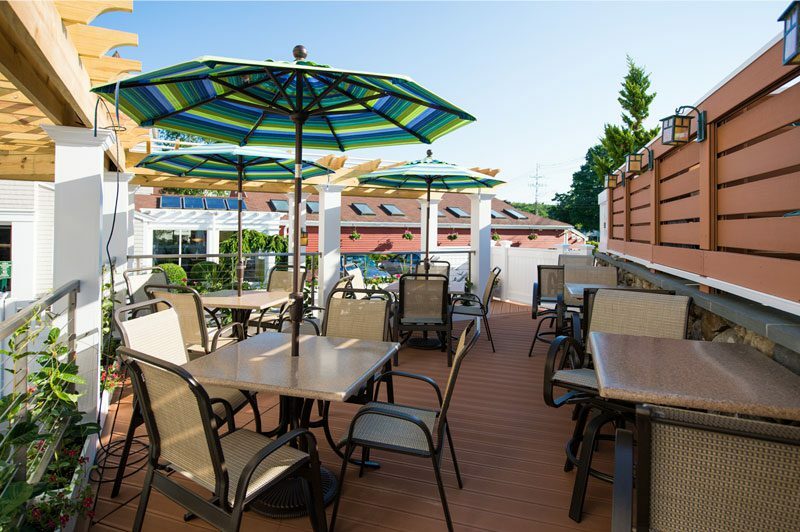 The West Meadow Pub at the Meadowmere Resort provides a cozy atmosphere. Our pub is perfect for a relaxing cocktail after a day spent enjoying Ogunquit.